With the great big residential boom in Brooklyn, the typical housing stock (brownstones, apartment complexes, and the like) has grown scarce steering developers to set their sights on the properties most readily available and ripe for conversion: churches, schools, banks, hospitals, libraries, and even municipal buildings (who needs amenities or services, anyway?!). 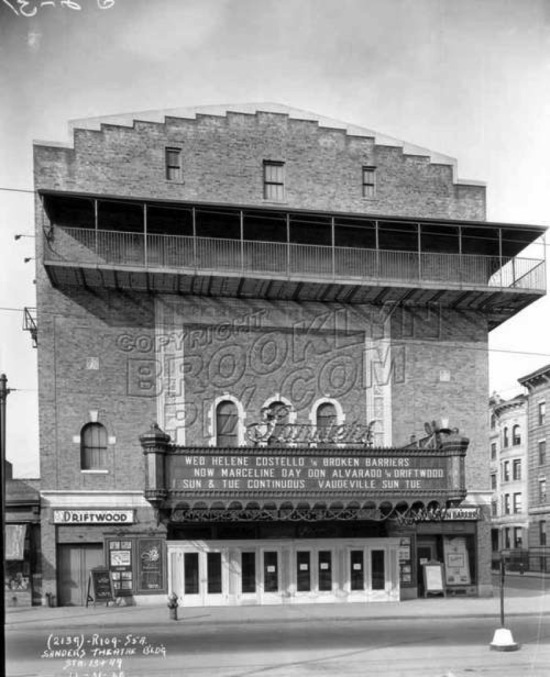 Now, two of Brooklyn’s landmarked movie theaters—The Brooklyn Heights Cinema and Park Slope’s Pavilion Theater—have been scooped up by different developers who have proposed residential conversions. The Pavilion Theater, with its Moorish brick facade and old-fashioned marquee, first opened in the early 20th century and has had several incarnations, first as the Marathon Theatre, and then as the Sanders Theatre in in 1928. The historic cinema, however, has seen better days: According to 6sqft, the interior, which does not have landmark status, is in ramshackle condition, and has been said to have had a bed bug problem in the past few years. Developer Ben Kafash, who purchased the theater three years ago, plans to revamp the building and transform it into housing. New York City firm Architecture Outfit released two schemes, perhaps in anticipation of an obligatory review by the Landmarks Preservation Commission at some future date. 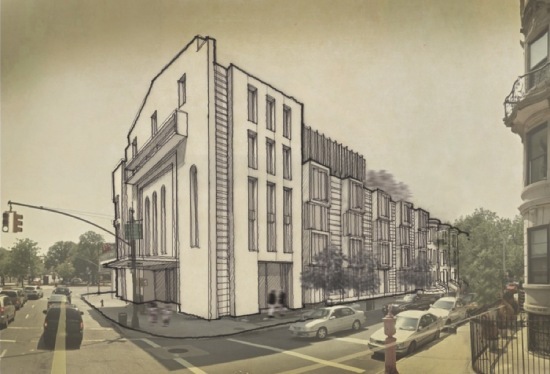 One proposal turns the theater into a 6-story residential apartment complex (preserving the facade), building new apartment units facing the circle, Bartel-Pritchard Square, and adjoining a row of contemporary townhouses, outfitted with protruding windows, along 14th Street. The second scheme keeps the entire theater and replaces a one-story building at 190 Prospect Park West with new construction. 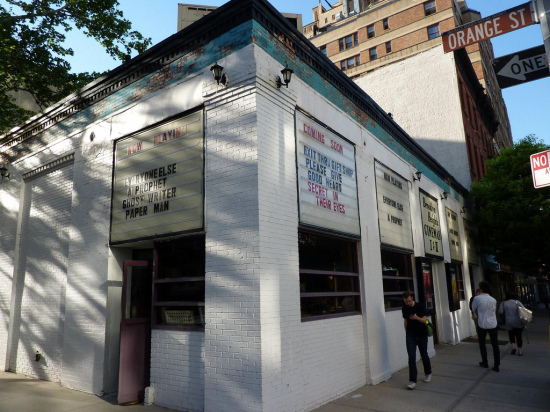 The one-story, white brick building, formally housing the cozy Brooklyn Heights Cinema, has been sold to local developers Madison Estates and JMH Development for $7.5 million. The theater closed its door this past August and had been in operation for over four decades, way before Lena Dunham was buying up property in the historic neighborhood. While the new owners have yet to reveal plans for the modest structure, the Daily News said it is likely to be converted into a low-rise condo or condo building. If Brooklyn Heights residents want to see a movie, they will just have to mosey on down to DUMBO where the two-screen movie theater is moving to.